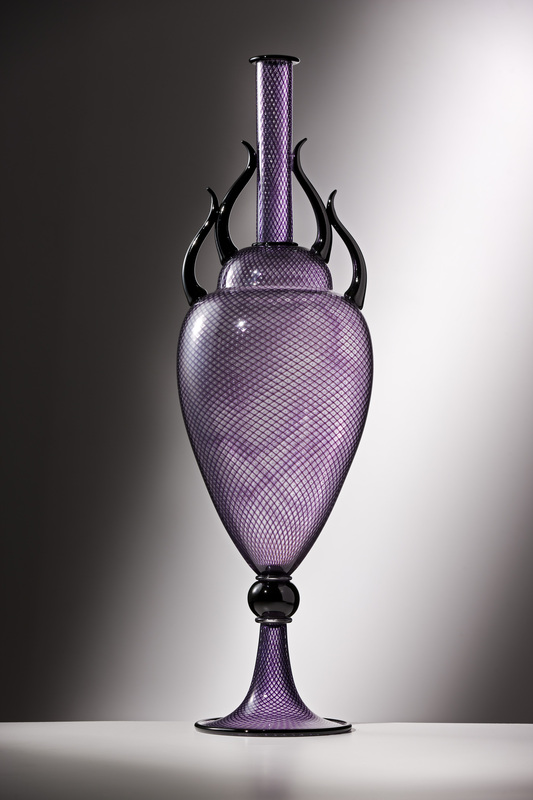 Dante Marioni, Purple Reticello Urn, 2011. courtesy: chrylser museum of art. On February 27, the Chrysler Museum Glass Studio will kick off a year-long series of exhibitions and live demonstrations featuring eight internationally known artists who will visit the Norfolk, Virginia, institution in 2012. The Chrysler Museum of Art’s studio, which opened in November 2011 in a former bank building, now hosts classes and workshops for artists and students. It also serves as a workplace for artists in residence. 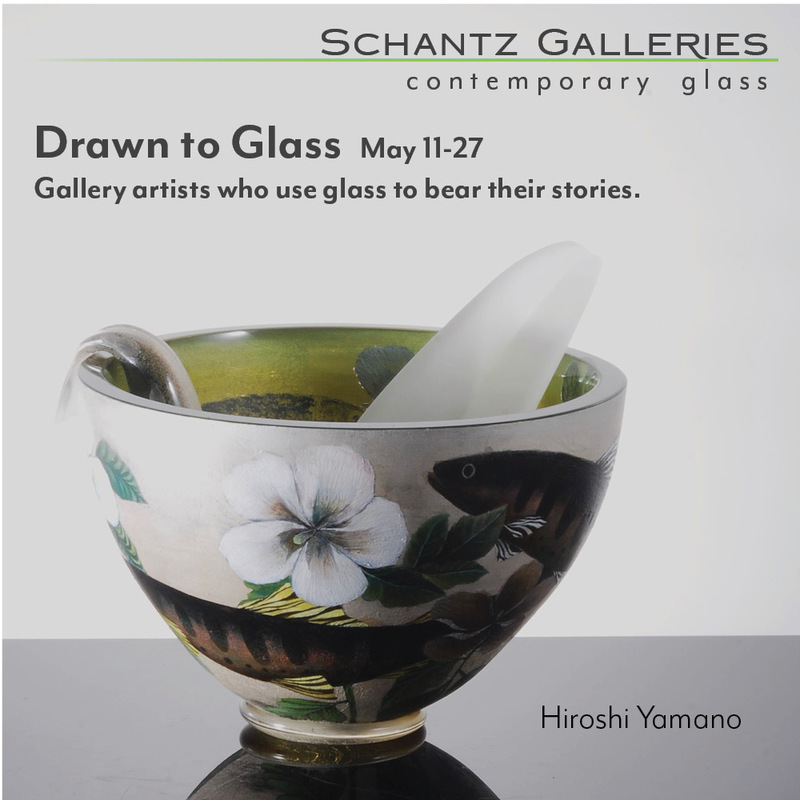 Big names in glass such as Dante Marioni and Ben Moore will be doing demonstrations while their work will be on exhibit at the nearby museum. This idea of bringing art to life was one of the primary motivations to build the studio, and the roster of visiting artists in 2012 spans the full range of glass techniques from glass engraving to glassblowing. 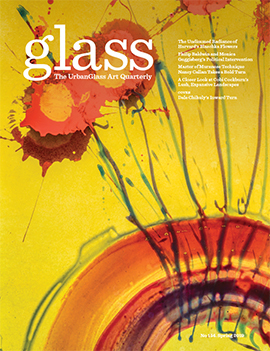 “We purposely chose our inaugural group for their diversity in technique, artistic vision, and personal background and education,” Kelly Conway Chrysler Museum of Art curator of glass told The GLASS Quarterly Hot Sheet in an email exchange. The 2012 Visiting Artist Series was designed as an educational tool to engage the public in the actual art making. It also was designed with artists in mind, offering them a break from the solitude of the creative process. “Typically artists pine away in their own personal studios, but for a week, these artists will be creating their work in the public eye,” said Charlotte Potter, glass studio manager at the Chrysler Museum. These public demonstrations will help demystify the processes each artist uses to create sculptures, installations and vessel forms. “Students and the general public will get to see these rockstars in the glass community blow glass,” said Potter. The visiting artists will be assisted by students of Virginia Wesleyan College and the Governors School for the Arts, two community partners of the museum and its studio. The series starts with a tripod of three celebrated glass artists —Benjamin Moore, Dante Marioni and Janusz Pozniak, (Exhibition dates: January 27– March 18, Studio Visit: February 29–March 4). Dante Marioni and Janusz Pozniak share some common structural themes in their pieces which tend to be tall and slender in form. Pozniak’s work has been described in the Columbus Dispatch as “figure-like forms” with “elongated elegance with a hint of motion.” Pozniak is one of Seattle’s most distinguished young glass artists. He has worked with both Moore and Marioni. In a stylistic contrast to Moore, John Miller (Exhibition dates: July 5–August 26, Studio Visit: July 11–15) is the next artist to take part in the series. Miller began working with glass in 1987. His work can be found in the collections of the Corning Museum of Glass, the Museum of Arts and Design, New York, and the Museum of Glass, Tacoma. Miller operates his own studio, Ring of Fire Hot Glass, where he concentrates on blown sculpture. Large-scale recreations of diner and fast food icons are his signature pieces and his most popular works of art. Next up are brothers and Mexican natives. Einar and Jamex de la Torre (Exhibition dates: September 12–October 28, Studio Visit: September 26–October 4) started up a flame-worked glass figure business together in the 1980’s. In the early 1990s they began working collaboratively as studio artists, developing their assemblage style of work. They have exhibited their work internationally in France, Japan, Canada, Germany, Venezuela, and Brazil, as well as in the U.S. and Mexico. Much of their work is representative of their Mexican-American bi-cultural experiences and heritage. Hours: Wednesdays, 10 a.m. -9 p.m.; Thursdays-Saturdays, 10 a.m.-5 p.m., and Sundays, noon-5 p.m. The Chrysler and the Glass Studio are closed on Mondays and Tuesdays, as well as major holidays. For more information on exhibitions, programming and special events, visit chrysler.org or call (757)-664-6200.